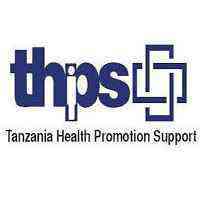 Tanzania Health Promotion Support (THPS) is an indigenous NGO established under nongovernmental organization act No 24 of 2002 in 2011. THPS works in partnership with the Ministries of Health Community Development Gender Elderly and Children (MoHCDGEC) and Regional Administration and Local Governments (PORALG) with a goal of ensuring accessible high quality health care services to Tanzanians; through strengthening of health systems for quality health services including comprehensive HIV/AIDS Prevention, Care, Support and Treatment in Pwani and Kigoma regions. To provide technical support in implementing high-standard paper-based and computer-based health facility record keeping systems for patient record management of CTC / VCT/PICT/APSS/ Cervical Cancer Screening, Nutrition and palliative care programs in support of the Ministry of Health’s National AIDS Control Programme. To provide technical support in data management for public health evaluations as needed. 3+ years relevant experience with MS Access application development and use, data analyses with standard software packages and implementing protocols for data quality assurance. To provide technical support to clinical staffing for provision of multidisciplinary family-focused HIV/AIDS prevention, care and treatment services at THPS supported facilities. This entails HIV counseling and testing at all entry points including, Provider Initiated testing and Counseling (PITC), enrollment of adults and adolescents living with HIV into care and antiretroviral treatment (ART); enhancing retention and minimizing lost to follow up (LTFU), effective adherence and psychosocial support, implementation of collaborative TB/HIV activities, efficient management of commodities and ongoing mentorship and supportive supervision. S/He will work with the PMTCT/Pediatrics technical advisor to ensure that health care providers are well equipped with skills to appropriately manage infants, children and adolescents living with HIV according to national and international standards. To provide direct technical assistance to the staff at THPS supported health care facilities; on-site staff capacity building on HIV/AIDS clinical management, clinical mentoring, patient flow analysis, improvement of adherence support systems, strengthen of referral systems, etc. To implement creatively efforts to support quality pediatric HIV services. To establish and monitor innovative adherence and retention strategies at THPS supported health facilities in collaboration with clinical and adherence psychosocial support and community linkages teams. To ensure that THPS-supported clinical care activities at multiple delivery sites conform to the Tanzanian national guidelines. To develop with other Advisors and Technical Director the care and treatment-related materials, including job aids, protocols, algorithms and other necessary tools. To assist the Kigoma Regional Manager to develop Annual regional work plan and to review its implementation. To assist the Kigoma Regional Manager in the development of monthly and quarterly reports. MD; Master’s degree (MPH or equivalent); Public health training is desirable. Experience working in collaboration with local government partners (R/CHMTS) and NGOs. Excellent interpersonal and management skills. Interested applicants should send their application cover letter one page maximum and CV four pages maximum to ([email protected].com) by April 7th 2019 with a subject line for example: Data Manager Kigoma Region. Only short listed applicants will be contacted. Please do not attach any certificates when submitting online. THPS is an equal opportunity employer; women and people living with HIV/AIDS are encouraged to apply.